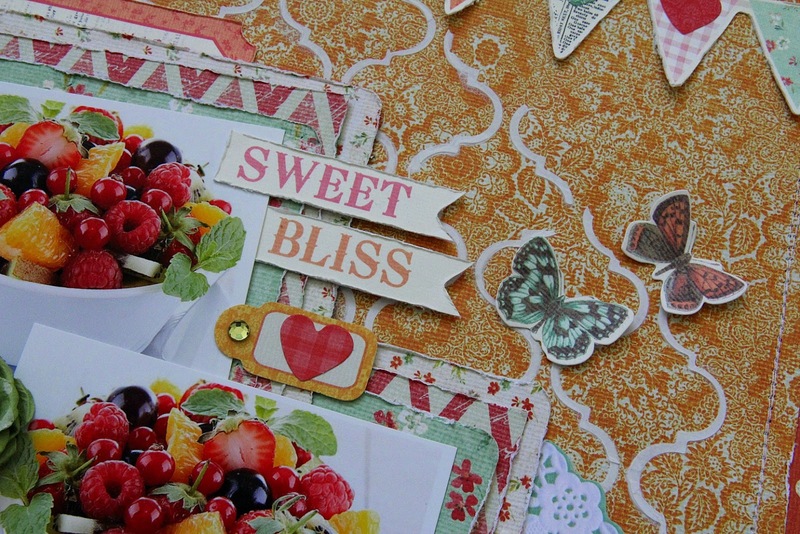 I've added some stencil work using Kaisercraft Lattice template with modelling paste on the background and have layered a few papers in under the photos....which were not taken by me, they are from a recipe website. 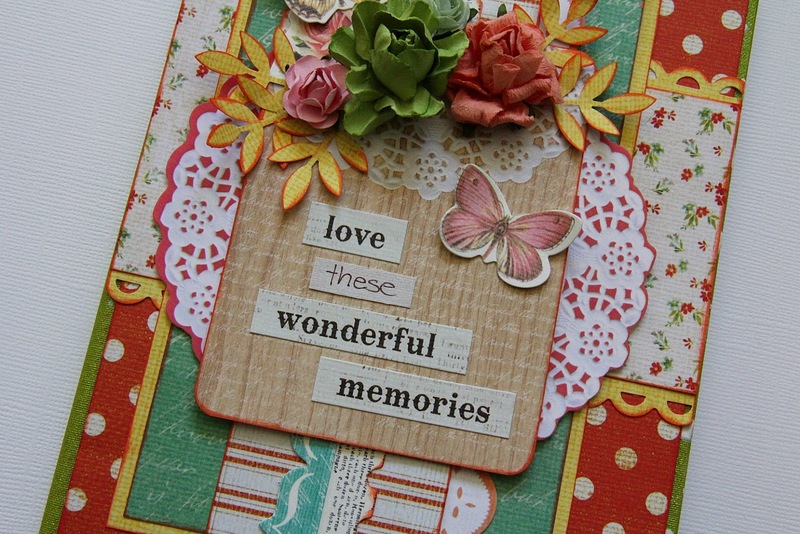 Lots of Collectables pieces around the page...and also some paper blooms to form a small cluster. 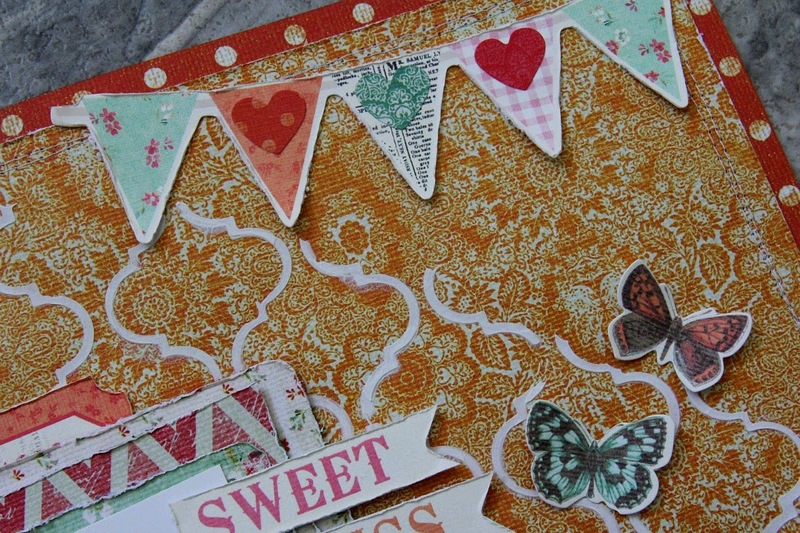 More collectables pieces to form the title and a few cute little butterflies. 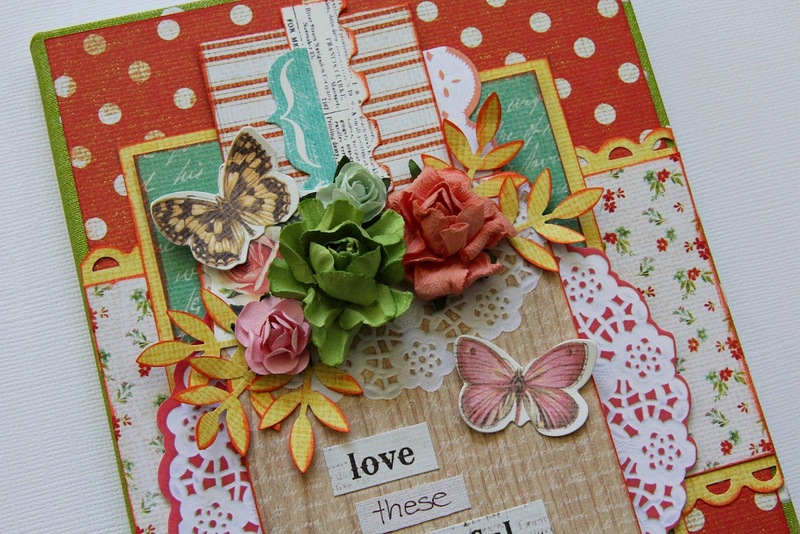 The doily is from the Collectables pack also...and I've cut it in half & used it in 2 separate positions on the page. 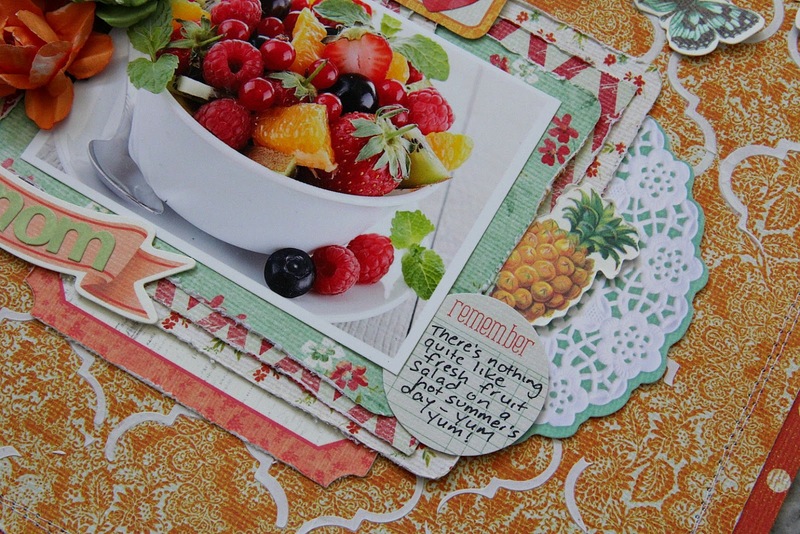 Journaling is on one of the cute little journal spots from the Collectables pack. Another Collectables piece...the little banner at the top & I've also added a few heart stickers on top, from the Sticker Sheet. 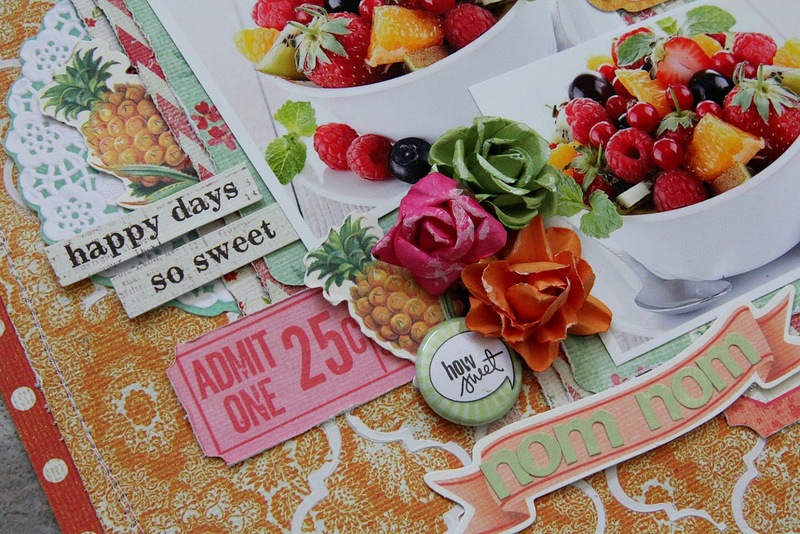 Kaisercraft Products: Pineapple P1641, Lemonade P1640, Party P1646, Cocktail P1639, Mocktail P1647, Paper Pad PP951, Collectables CT808, Sticker Sheet SS258, White Alpha Stickers AS252, Avocado Ink Pad IP730, Sunset Paper Bloom F634, Hot Pink Paper Bloom F663, Olive Paper Bloom F633, Lattice Template T610, Split Pea Rhinestones RS407. stickers from the Sticker sheet. And of course....some more gorgeous paper blooms. 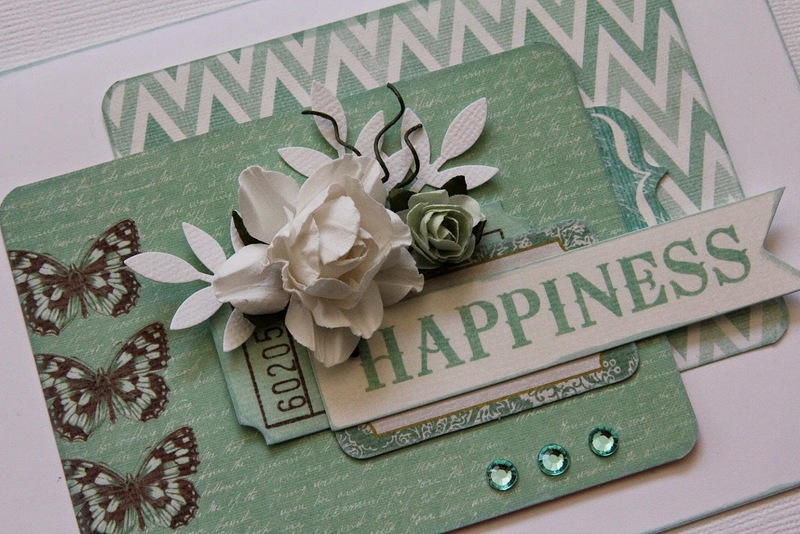 And lastly is a quick & simple card. 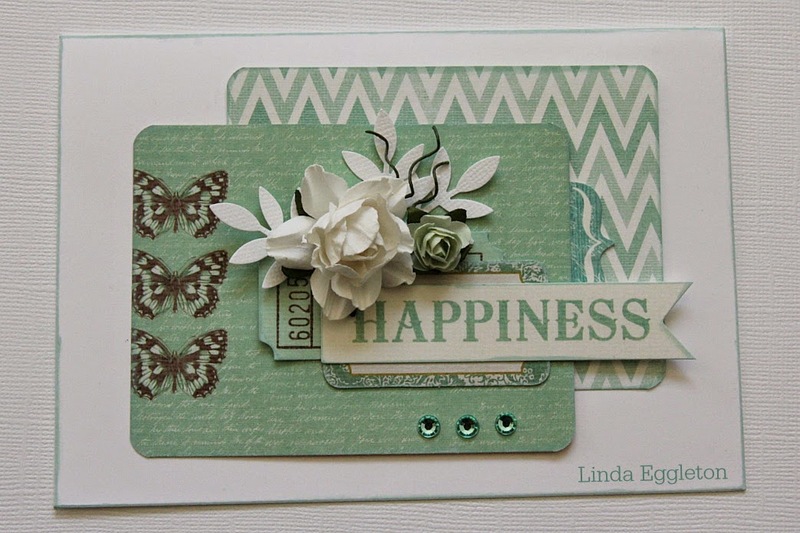 I've used a few of the 3x4 cards from the Pineapple Crush Captured Moments card pack...which made the card very quick & simple to put together. 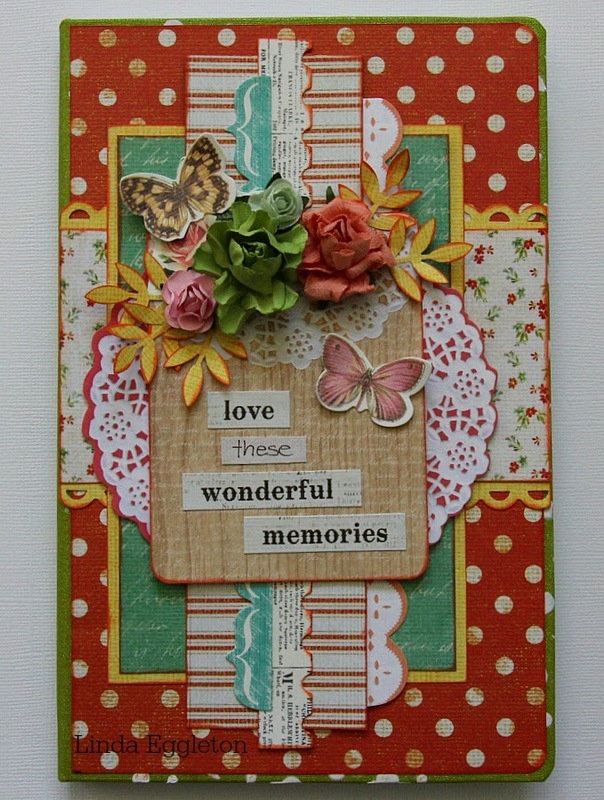 A few paper blooms, Collectables pieces, Rhinestones & some wire stems from the paper blooms...all layered together for this simple, but pretty card. 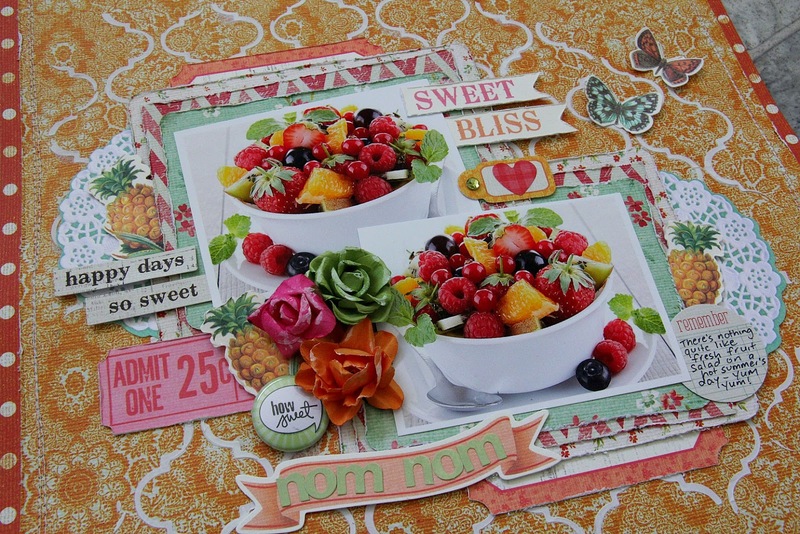 These look wonderful.. those fruit salad photos are perfect for this paper range!! Oh yummy layout. I haven't had fruit salad since I started banting in June. I can have five strawberries in a pinch. :/ I do miss my fruit. Love the photos. The cards are just so pretty. Love them both. You are such a busy bee.